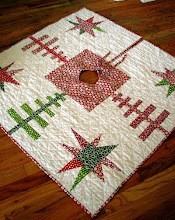 I'm heading to quilt market in Salt Lake City on Wednesday. I'm so excited. I have my list of things to do, things to learn, people to meet. It's a first for me. I've been trying to whittle down the list of things to do before I leave. One of those things is to finish class samples. I had this leftover pile of strip piecing from a previous quilt so I decided to make a quick sample for my improv class. 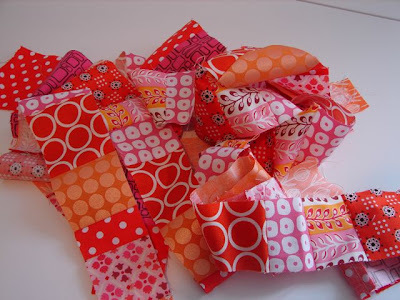 I started cutting and sewing and before you know it I was making a whole quilt. How does that happen? I ran out of pomegranate kona cotton so this will have to wait until after market. If you're heading to market too, don't forget about the Modern Quilt Guild meet-up on Friday night. We'll be at the Marriott Destination's Lounge, Friday, May 13 at 8:00 p.m. See you there!! Can't wait to meet everyone! Oh, and thanks for entering Friday's giveaway. Laurie's fabric will be heading to ColoradoLady! Congratulations! Send me your contact info and I'll get your fabric off to you. Thanks again to Laurie for providing the fat quarter set. Totally in love with pomegranate! As a fruit AND a fabric! If only I could fit in some pre-Market sewing. (Yours is looking great BTW) For me it's pre-Market sanity keeping... Oh I miss my sewing machine so much!!! See you in SLC! Have a wonderful trip! And pomegranate? Who knew? 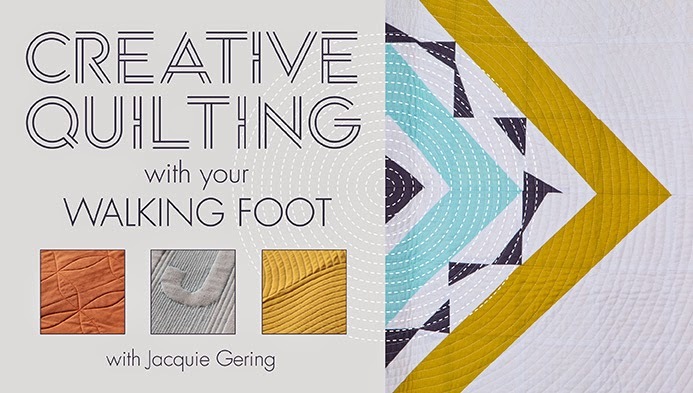 I really like those colors Jacquie! Where the heck do you get solids here in town?? Must I order them online? I'll be there as well and plan to be at the MQG meetup if I can. Hope to see you there! Ohh, I just LOVE the colors! 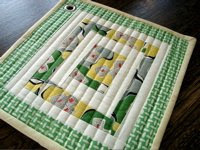 I also love that the quilt was born because it had to be, and not because you were sitting down to start a new quilt! Serendipity! Lucky you!!! I love these colors you are using so much! Beautiful colors! 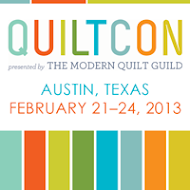 I was so hoping to attend quilt market this year. Maybe next year in KC! 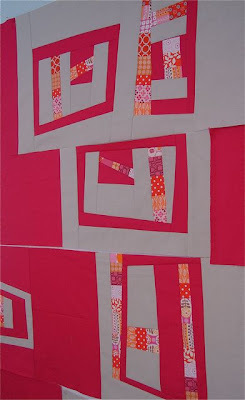 What a fantastic, bright quilt! I love that pomegranate color. 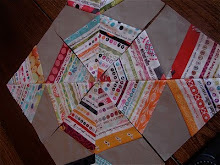 it has been too, too long since I popped in last...those colors are delicious, and quilt market, and teaching classes!! you are as awesome as ever! See you in a few days!! Jacquie! 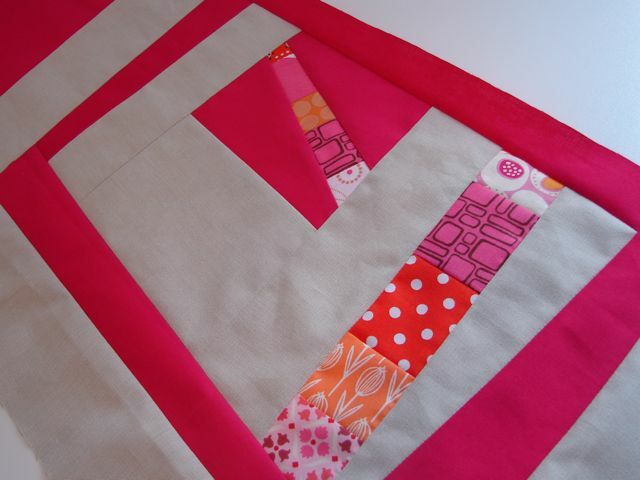 Live the truck quilt.. You know I will make sure to find it a good home at the next BASICS distribution event! See ya soon!! I so wish I was going to take one of your classes...I love your improv style! That orange just sings to me, it truly does. Have fun at market! My last minute pre-market sewing turned into helping my sister finish a quilt for her best friend's baby shower. No new bag for me! Look forward to meeting you at the MQG event! wow! I love what you have done. I am amazed at how your mind works. I am so sad that I can't go the the quilt market in SLC this year. I really wanted to, but due to a recent job loss we really can't afford it. I am not commenting to give you my sob story-just to say have fun! Salt Lake is not very far from where I live and I have been there lots. 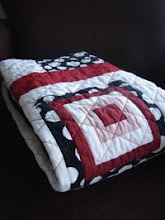 Someday I will make it to a Modern Quilt Guild meetup! It's hard to miss out but my day will come. I am wxcited to see your pomegranite quilt finished. I would love to pick your brain someday-I really love what you do. 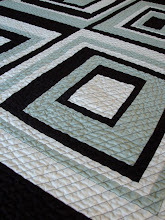 You have really inspired me in modern quilting. How fun watching what you are up to! 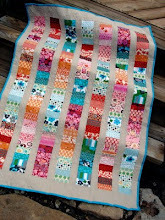 I love your improv style and actually have tried making a few blocks a couple of years ago. 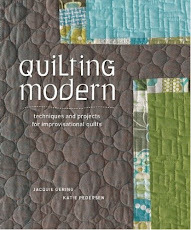 Now I've been in a great mood for a modern quilting with beautiful inspirations by your work. Enjoy the market and good luck with your class!! ooooo I really like that pomegranate color!! I LOVE this! Very fun and inspiring!